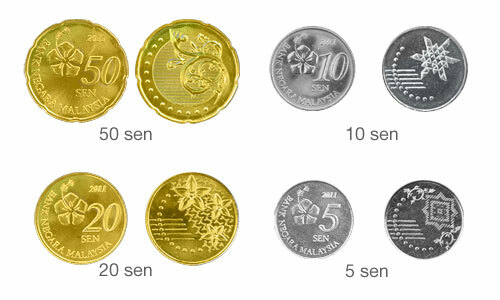 There are 5 types of coins, their unit is "sen": 1 sen, 5 sen, 10 sen, 20 sen, 50 sen.
"Sen" is same as what we commonly known, the "cent". For example, 20 sen means 20 cents. 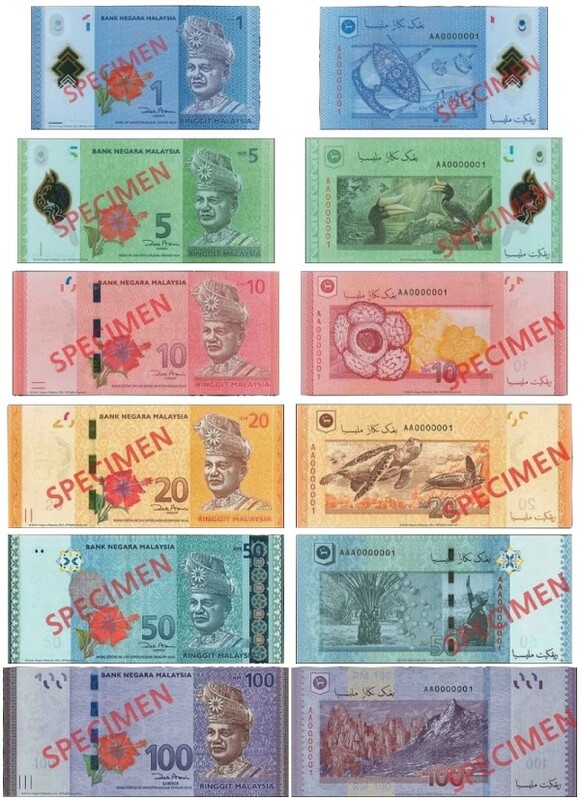 There are 6 types of notes, their units is "Ringgit": 1 Ringgit, 2 Ringgit, 5 Ringgit, 10 Ringgit, 50 Ringgit, 100 Ringgit. Although the 2 Ringgit note not issued anymore, you may use it as usual. Malaysia counterfeit situation is not serious, most of the restaurant and store will accept the large notes, unless they are not enough small notes to change, or you purchase goods from small vendors. Sometimes small notes are important. The most convenience and good to use is 10 Ringgit notes. So, you may ask for mainly 10 Ringgit notes and supplemented by 50 Ringgit notes when you exchange your currency at Money Exchanger.